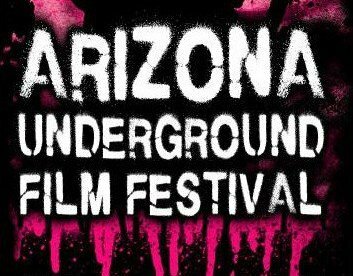 The Arizona Underground Film Festival (AZUFF) is back for its 7th year playing some of the best cult/midnight films from Sundance, Cannes and Tribeca. AZUFF will also show world premieres and North American premiere screenings. Be a part of the entire counter culture experience with this Ticket Tuesday’s chance to win a pair of VIP full access passes that include all screenings for the 2014 festival. AZUFF kicks off Friday, September 19, with critically acclaimed Sundance favorite Killers, an action-packed, violent Asian film from the producer of The Raid. Other highlights include the sci-fi thriller Time Lapse, starring Danielle Panabaker, about three friends who discover a machine that takes pictures 24 hours in the future. Check out Metalhead, a film about a grieving girl who finds solace in heavy metal and dreams of becoming a rock star. Wolfcop is a hilarious horror/comedy about a policeman who becomes a werewolf and finds out he is part of a bigger scary plan. For a full list of screenings and ticket information, visit the Underground Film Festival website. To enter our Ticket Tuesday giveaway, tell us in our comment section which festival film you look forward to seeing most. We will select two winners using random.org. Winners will be notified by e-mail sometime on Wednesday or possibly even Thursday. Be sure to check your e-mail inbox for a message from us since we’ll need your contact information for Will Call. Comments are moderated and may take some time to appear. Please do not resubmit your comments — one is plenty. I’m most excited about You and The Night. Just the synopsis alone is hilarious. I love this festival so much. I go every year. This is the first time I’ve heard of this festival. There are just some cool looking films here. Time Lapse that you mentioned sounds like something I’d absolutely be into, and then Despite the Gods and My Name is Jonah also have me intrigued. Thanks for the chance to win!